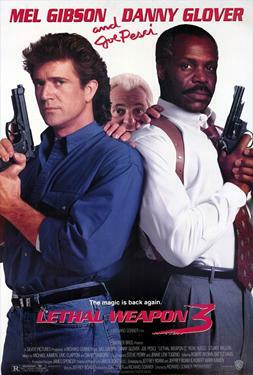 Mel Gibson and Danny Glover are back for more heart-pounding action and side-splitting comedy in director Richard Donner's smash hit "Lethal Weapon 3" (1992). When a crooked ex-cop forms a brutal ring of arms dealers, it's up to mis-matched cops Riggs (Gibson) and Murtaugh (Glover) and a few of their closest friends to fire off a bullet or fifty in pursuit of fast-paced justice. With Joe Pesci and Rene Russo.